These are universal, "tuckable" IWB struts. They allow you to carry your firearm (or other device) inside-the-waistband, while making it possible to wear your shirt in a tucked position. 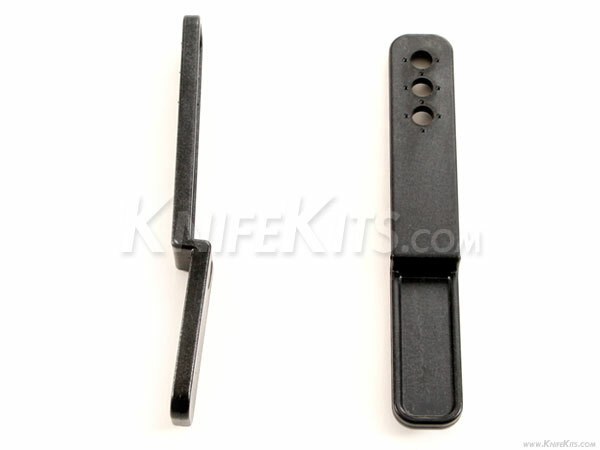 They are designed by NSR Tactical and made from a proprietary polymer material. They've undergone rigorous testing and are virtually indestructible. This model is the non-drilled variant. It features (3) IWB Loop mounting holes (with retention dimples) that are spaced at .375 inches. The dimple feature minimizes loop rotation once the assembly is tightened. The standard 5 degree cant helps keep the mounted item pushed against the body. This is especially important for firearm mounts. Loop Hole Spacing: (3) .375"